The Airport Shuttle is the most comfortable solution to travel between Tartu and Tallinn airport! 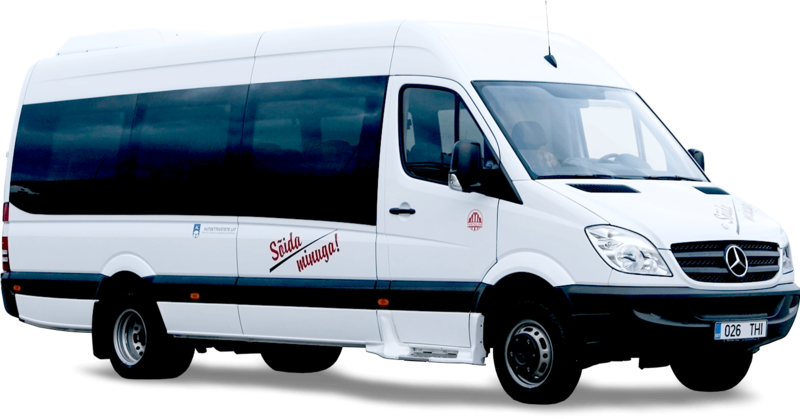 The compfortable Mercedes Benz Sprinter seats 19 people and in addition to the regular stops the shuttle can be ordered to any location in Tartu. For a private trip we also offer car rides. Clients can choose from a Mercedes Benz E class, Škoda Superb and Renault Trafic (seats 8 people).